IDAHO FALLS — At age 69, Marvin Goldstein is celebrating his 60th year as a performing musician. His career as a composer and concert pianist has taken him all over the world with many well-known artists, but he says the highlight of his career is just beginning to unfold. 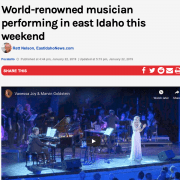 “The dream project that’s coming to fruition is actually performing for and with Vanessa Joy,” Goldstein tells EastIdahoNews.com. 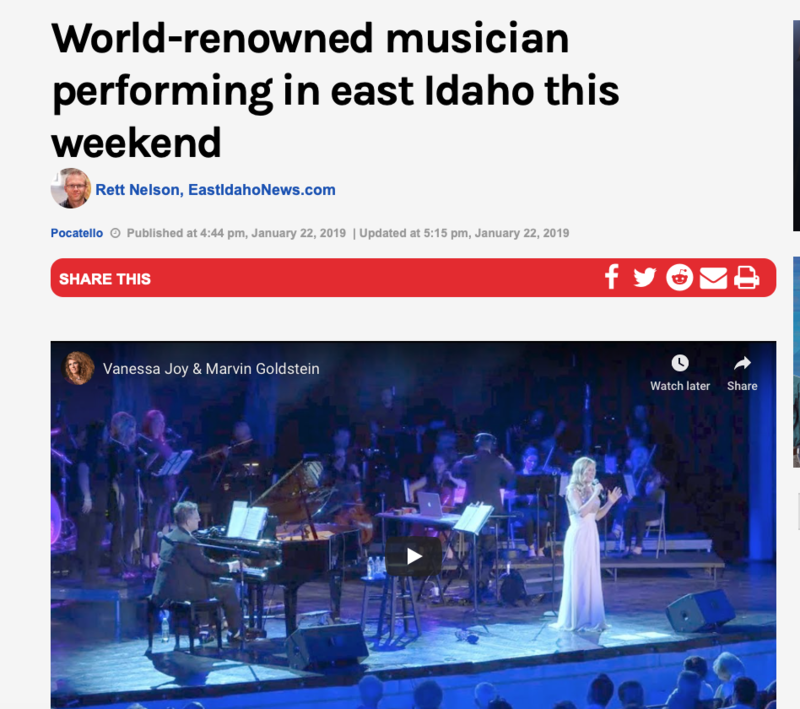 Vanessa Joy is the headlining performer with Goldstein in a concert entitled “A Celtic Celebration” at the Jensen Grand Concert Hall in Pocatello this weekend. Goldstein first met Joy about 10 years ago at a music seminar he hosted in Mesa, Arizona. Joy was one of several other musicians Goldstein asked to perform for the crowd. Goldstein was so impressed with Joy’s performance, he asked her to record an album with him. Since then, the two have performed at hundreds of events together around the globe. Goldstein says “A Celtic Celebration” is different from anything people have seen in a Marvin Goldstein concert. For one thing, Goldstein will be playing other instruments, including the french horn and the accordion. The concert will also feature well-known songs like “Danny Boy,” “My Heart Will Go On,” and “Amazing Grace,” along with many other classic favorites with a Celtic twist. There will also be performances from local orchestras and choirs. This concert will be the first time in 50 years Goldstein has not been the headlining performer. Goldstein’s musical training began when he was 9-years-old. Six months later, he gave his first public performance. He was awarded a music scholarship to Tel Aviv University School of Music in Israel at age 18. He continued his studies at the famed “Mozarteum” of Salzburg, Austria and earned bachelor’s and master’s degrees from Florida State University in French horn performance. Six years later, he was invited to be the keyboard player for rock group Three Dog Night. Goldstein continued to perform on his own all over the country, until 1985, when he became a member of the Church of Jesus Christ of Latter-day Saints. To date, Goldstein has recorded 50 albums, including one with Grammy winner Billy Dean and former NBA star Thurl Bailey. “I’ve had a great career, but the odd thing is that it’s not even over. I may even hit 90 years of performing. It’s amazing,” Goldstein says.